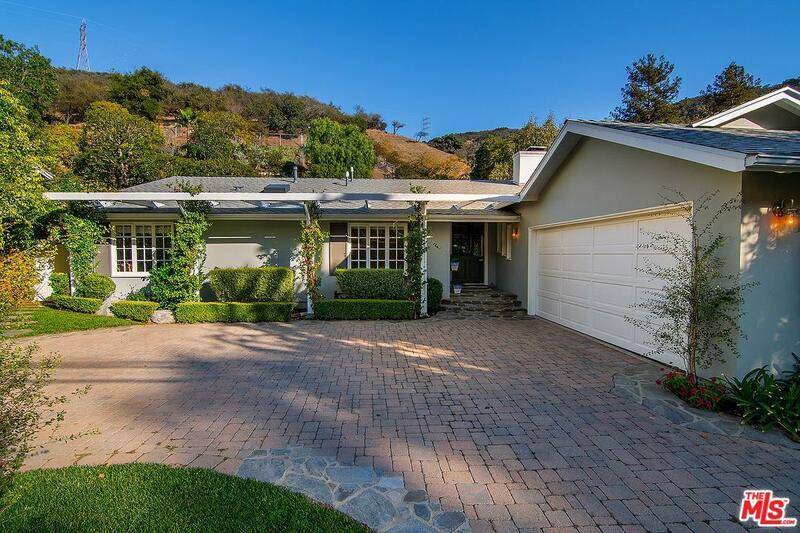 Chic and captivating canyon retreat, nestled on a large private lot in prime Mandeville Canyon. 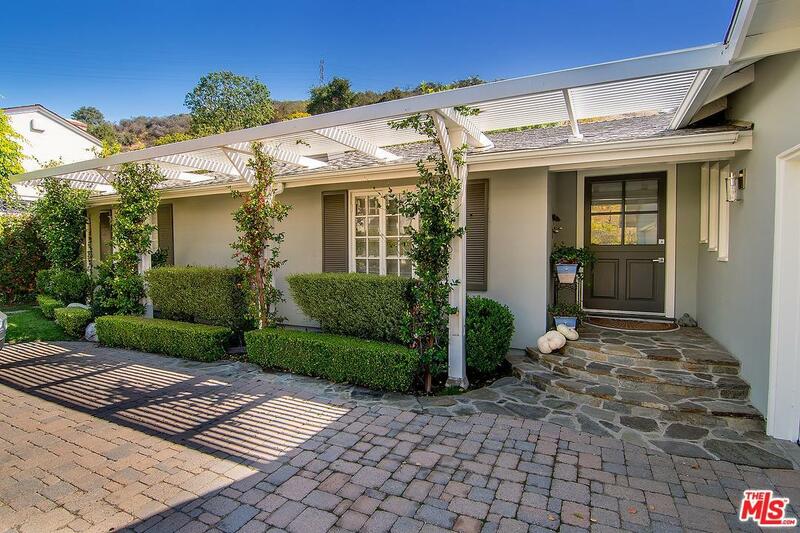 Meticulously remodeled, this single-level home exudes California-charm with an abundance of natural light and a multitude of entertaining areas. 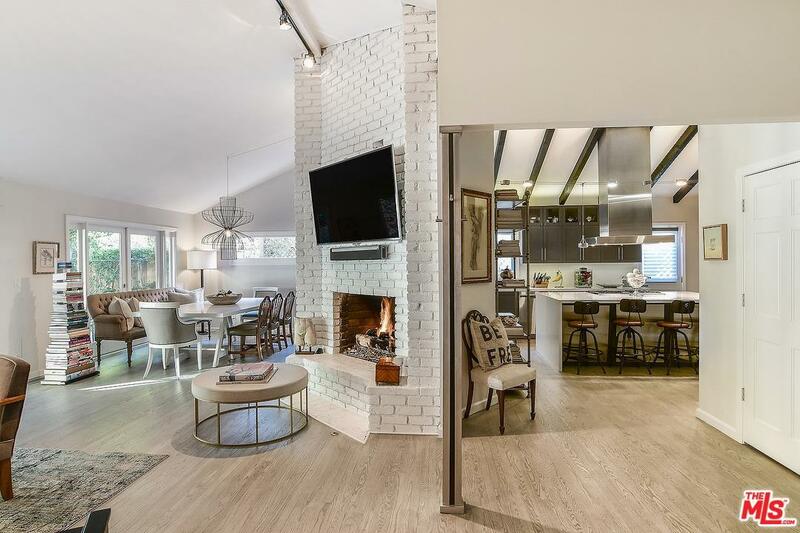 An open floor plan awaits, with vaulted ceilings, hardwood floors, and a cozy fireplace that provides the most intimate of settings. The eat-in kitchen features high-beamed ceilings, stainless steel appliances, and a large center island with breakfast bar. 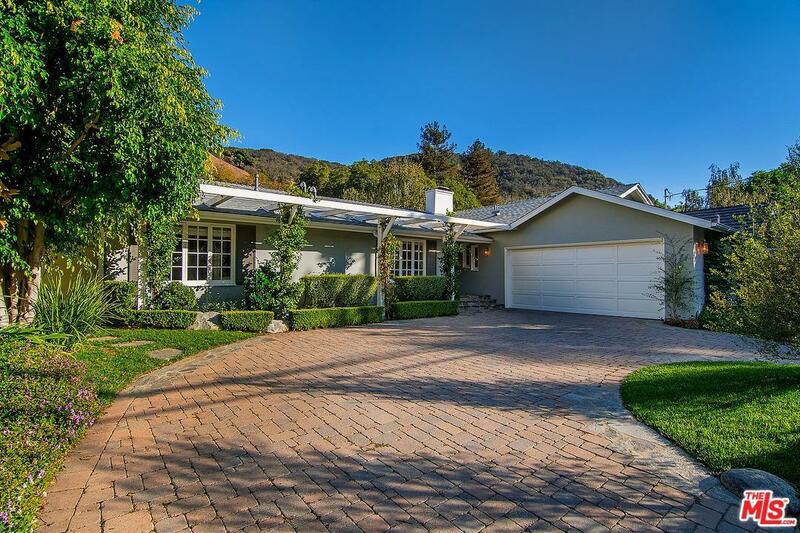 Private master suite with French doors opening to the quintessential California backyard. Three additional bedrooms, one currently used as an office. Outside, a large covered terrace, charming pavilion and outdoor kitchen provide the ultimate setting for alfresco dining amongst lush and mature landscaping. Walk the storybook bridge over the waterfall to the sparkling pool & spa and experience the peace and tranquility of quiet canyon life. Sold by Sasha Arefi BRE#00526877 of Sasha Arefi. Listing provided courtesy of Jade Mills DRE#00526877 of Coldwell Banker Residential Brokerage and Johnny Schell CA DRE# 01902430 of Coldwell Banker Residential Brokerage.